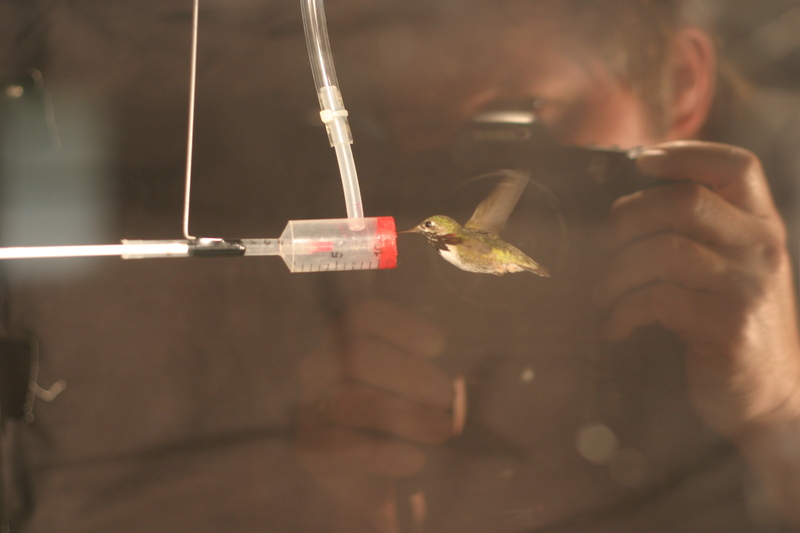 Calliope hummingbird in a wind tunnel! I received a BS degree in biological sciences from Biola University in 1979, an MS degree in ecology from San Diego State University in 1982, and my Ph.D. from the University of California, Davis in 1989. 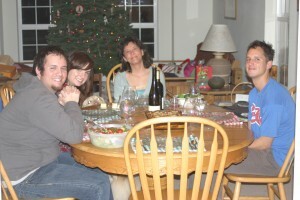 I joined the Faculty of George Fox Universityin 1989 and have been there ever since. In addition to teaching my courses I conduct research in the field of physiological ecology (how animals respond physiologically to their environment). My current research projects include various studies of hummingbirds, red-sided garter snakes, and rough-skinned newts! When I am not spending time with the family or working I enjoy sports, watching birds, fiddling with technology, and tasting and understanding wines from all over the world. As I add content to this page over time I will share in more detail information relating to my nonprofessional interests. If you are interested in my more serious blog feel free to visit “Random Thoughts from the Willamette Valley” where I actually tend to think a little when the spirit moves me. I hope you enjoy my from time-to-time offerings.